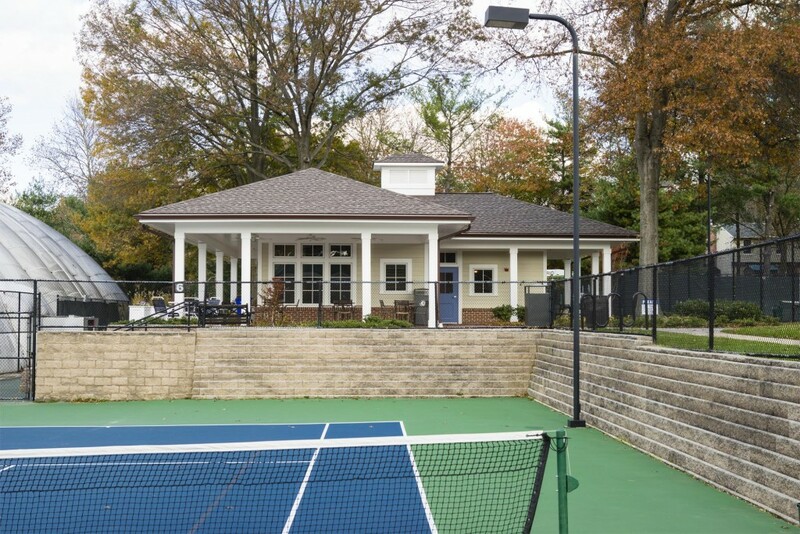 The Owen Brown Tennis Facility is owned and managed by the Columbia Association, and consists of 7 outdoor tennis courts, 5 indoor courts, and a Clubhouse. 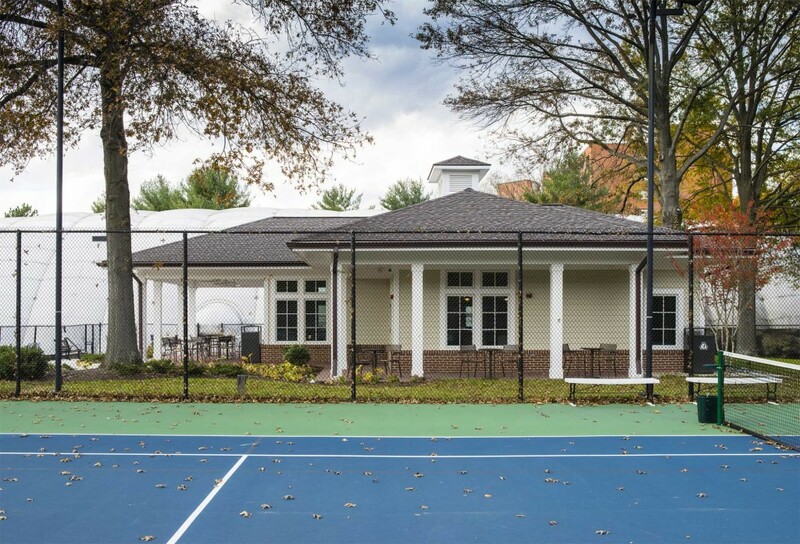 GTM was originally contacted to provide professional consulting services for upgrading the outdoor tennis courts, and then subsequently won a competitive RFP for the design of a new clubhouse building to replace an existing 40 year old wood structure in disrepair. 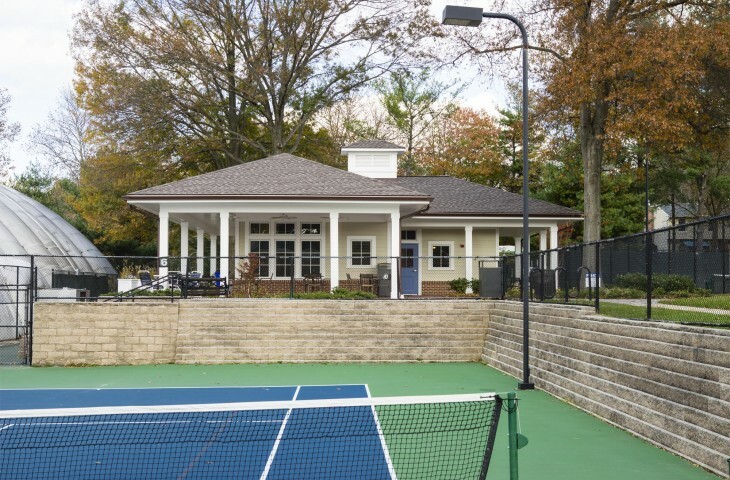 The challenge of the new clubhouse design was to provide a building that would fit comfortably and functionally between the existing tennis courts, a terraced hill, and 2 large trees. 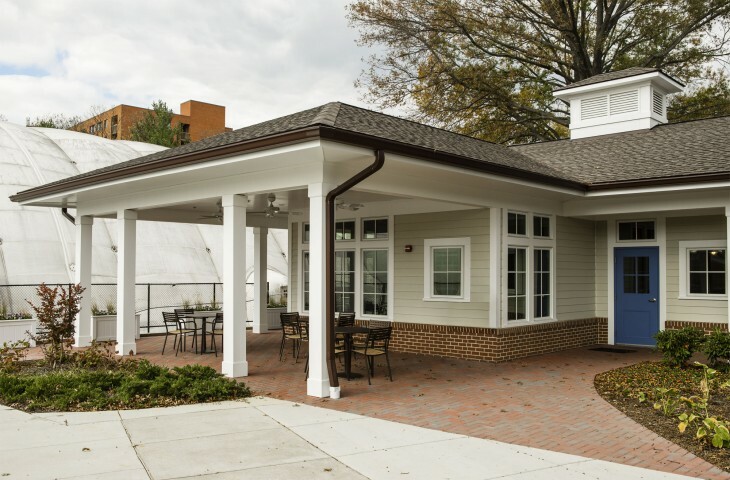 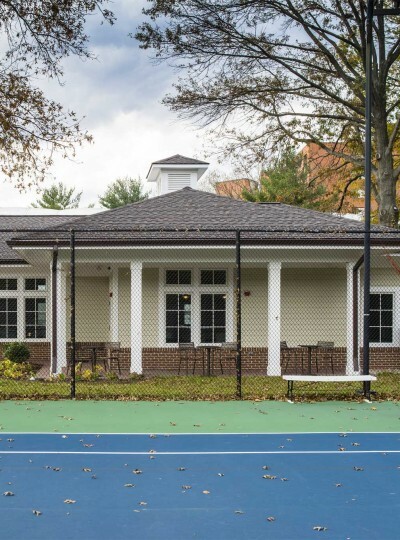 The new clubhouse building is a pavilion structure with hip roofs and a cupola that is tucked between the 2 trees, and oriented to provide selected views for watching tennis. 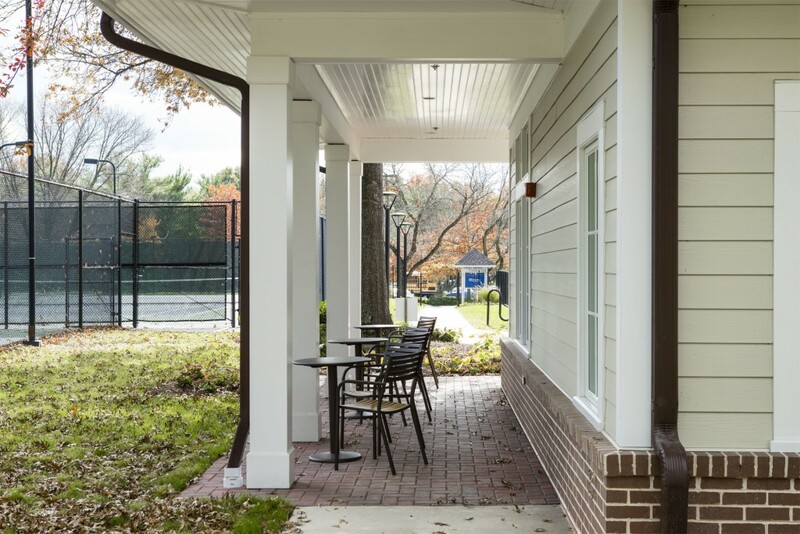 The Clubhouse incorporates a reception desk, restrooms, the tennis manager’s office, a lounge area, storage, utility rooms, and vending areas. 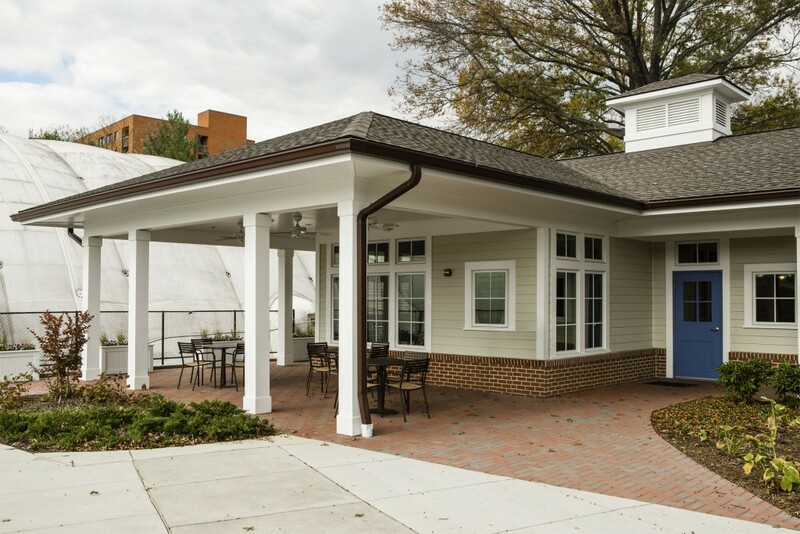 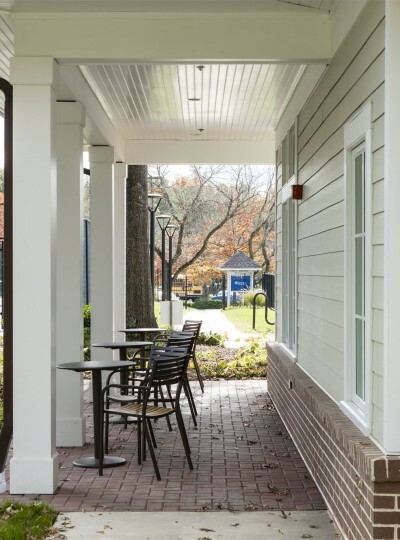 A major design feature of the building is a large covered porch area with seating, café tables, and ceiling fans that wraps 3 sides of the building. 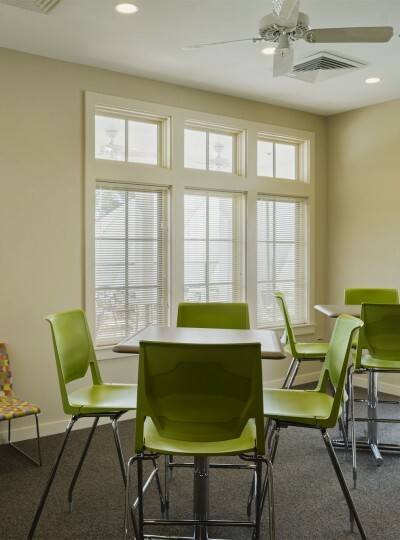 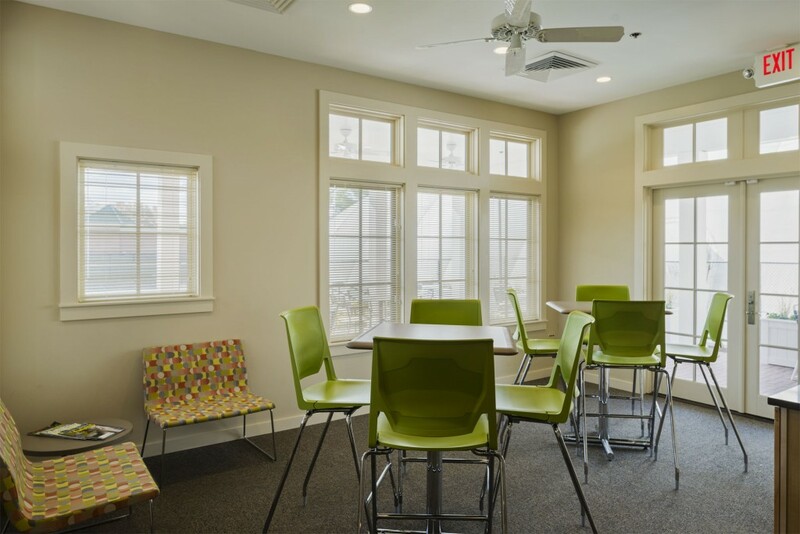 The building has many environmentally conscious design features, such as insulation, window, and heating and cooling systems that exceed current energy code requirements.